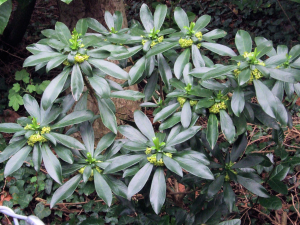 Observation - Spurge Laurel - UK and Ireland. Description: Occasional bird sown or garden escape shrub. Occasional bird sown or garden escape shrub.